Customize Your Car At Golf Cars Of Tulsa! Choose a car with the right color. 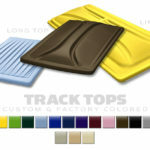 We have a variety of colors available but here are a few of our popular colors. Don’t see the color you love? 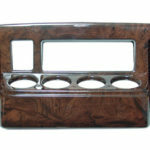 Contact Us for more options. 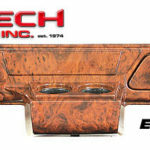 Colors above are artistic representations and may not look exactly the same on your car. 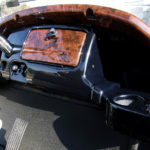 Revitalize those old factory seats with brand new golf cart seats or seat covers. 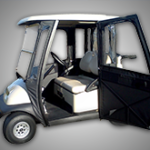 Brand new seats or seat covers make a world of difference on the appearance of your golf cart. 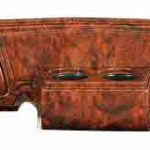 Our seats or seat covers come in a variety of colors and styles. 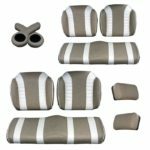 The seats and seat covers come in solid colors and two-toned. Whichever you choose, you will enjoy having a fresh new look. When the rubber meets the road you deserve to have the best connection possible. 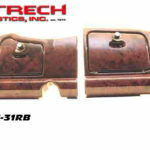 With a variety like ours you will not have trouble finding the street, trail or turf tire that you are in search of. Sizes range from the standard 18.5″ turf replacement tire all the way up to a 23″ off-road tire. 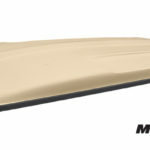 Looking for a low profile sports car look? 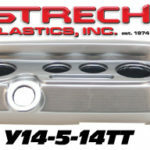 We have a 14″ Backlash Street tire that will provide style and performance. 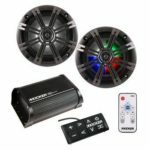 Choose from 10″, 12″ and 14” golf cart wheels that come pre-mounted onto off-road or street tires. Whatever the occasion, a custom wheels and tires combo will make your golf cart simply look and drive incredible. If you are not looking to upgrade your wheels, you can easily order replacement 8″ inch steel wheels to keep that clean stock appearance. 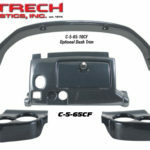 But if a completely new look is in order, view our selection of custom wheel and tire packages that come in a variety of designs and finishes. Our custom wheel selection is second to none and are guaranteed to turn some heads. 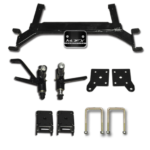 With larger off-road tires a lift kit will be required for a proper fit so browse our selection of golf car lift kits and get that look you have been wanting. 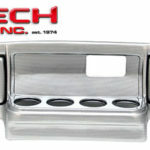 Don’t forget to browse our selection of stylish golf cart hub caps for a more affordable way to customize. 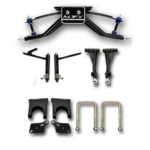 Installing a genuine E-Z-GO lift kit to your beloved golf cart is a great way to obtain the performance and style you have been looking for. 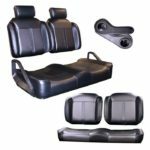 Whether you’re looking to take trip down your favorite outdoor trail or take drive around the neighborhood, Golf Cars of Tulsa offers safe and high quality golf lift kits you can depend on. 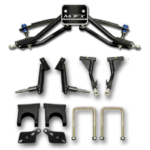 Choose from 2″ – 4″ drop axle or spindle lift kits. 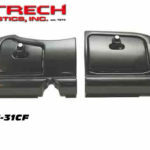 Lift kits provide higher ground clearance and allow for larger custom tires and wheels to help cover trail terrain. 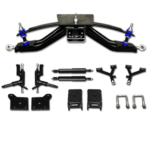 Each lift kit is specifically designed to fit E-Z-GO vehicles eliminating fitment issues. 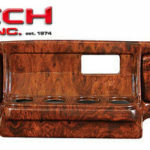 When increasing ride height and wheel and tire size, we recommend upgrading to a more powerful speed controller for extra torque and overall performance. 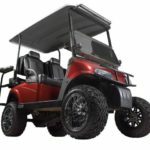 With a variety of off-road tires available, you’ll be able to find your new custom wheels and tires combo to help you cover new ground with your beloved E-Z-GO golf cart. 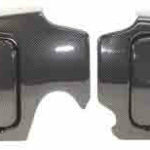 When you are in need of a brand new body and cowl for your E-Z-GO RXV or TXT, make sure you order direct from the OEM. 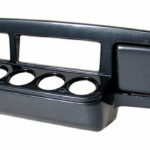 The advantage of ordering from the OEM is that you are assured of industry leading quality and a perfect fit. 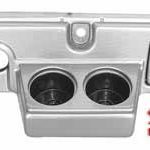 After all, our body and cowls are are designed and manufactured by those who know E-Z-GO vehicles best. 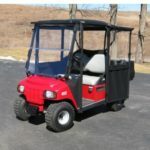 All of our available colors look great and will definitely lay a great foundation for further upgrades such as custom golf cart wheels and tires and a brush guard. 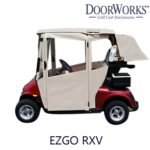 Golf cart windshields are one of the many great E-Z-GO accessories for style, comfort and weather protection. 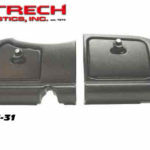 Choose between flat or folding styles that are available in clear or tinted windshields to meet your style preferences. 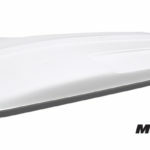 With a 70% poly carbonate / 30% acrylic blend, our windshields are impact and crack resistant leading to a more durable and safe product. 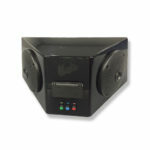 For other ideas on added weather protection, take a look at our E-Z-GO covers and E-Z-GO enclosures. 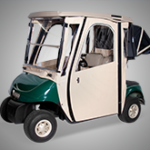 Customize your golf cart with Golf Cars of Tulsa for great value and confidence with our OEM difference. 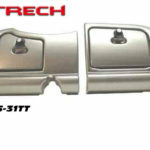 What is the OEM difference? Original Equipment Manufacturer means that E-Z-GO holds a high standard when it comes to quality, performance and safety standards. 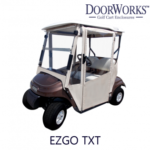 To learn more about the E-Z-GO golf cart windshield for your vehicle see your E-Z-GO manual or use the My Vehicle tool. 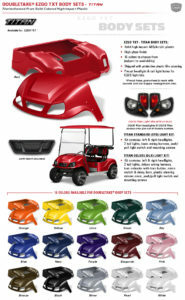 Easily install golf cart lights to brighten up your E-Z-GO experience. Lights provide greater visibility at night and allow for a safer ride in poor weather conditions. 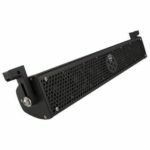 With complete golf cart light kits available, as well as replacement headlights or tail lights, you will find everything you need for installation. 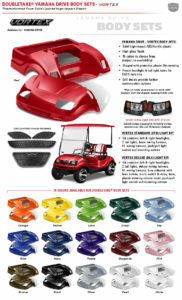 Our light kits are designed specifically for your E-Z-GO golf cart. 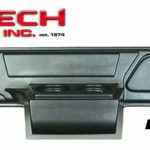 What is the OEM difference? 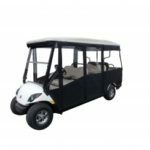 Original Equipment Manufacturer means that E-Z-GO holds a high standard when it comes to quality, performance and safety standards. 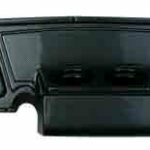 Our products are manufactured specifically to fit E-Z-GO vehicles in premier manufacturing facilities and go through stringent testing requirements. 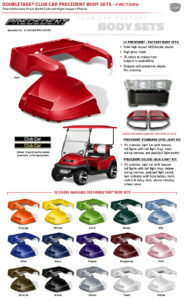 Experience, explore and see how E-Z-GO can help you cover new ground with lights for your golf cart. 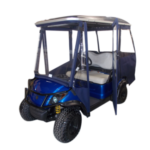 Genuine E-Z-GO golf cart enclosures provide you with the weather protection you deserve for the most comfortable riding experience year round. 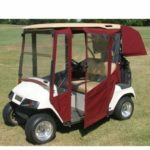 If you are dealing with a fall chill, spring rain or the harsh summer sun, Golf Cars of Tulsa literally has you “covered”. 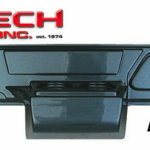 Installing a quality enclosure direct from the OEM makes a difference. 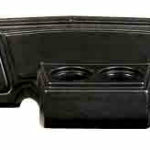 Browse our E-Z-GO covers page to find additional ways to protect your E-Z-GO investment. 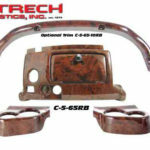 What is the OEM difference? 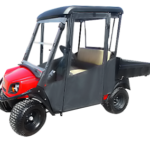 Original Equipment Manufacturer means that E-Z-GO holds a high standard when it comes to quality, performance and safety standards. 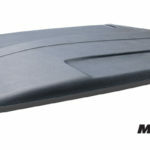 See our E-Z-GO windshields for weather protection for the front of your vehicle. 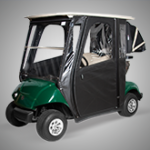 Experience, explore and see how E-Z-GO can help you cover new ground with an enclosure for your golf cart. 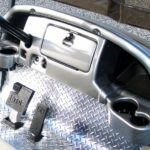 When it comes to safely operating your E-Z-GO vehicle, having a golf cart rear view mirror is important. 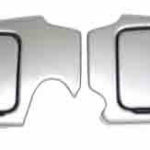 Golf Cars of Tulsa offers side mirrors, convex mirrors and panel mirrors to give you the best view possible. 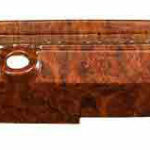 The 5 Panel Wink Mirror is our most popular option and provides a panoramic wide angle view. 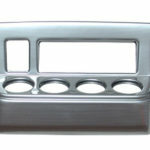 E-Z-GO is the OEM (Original Equipment Manufacturer). 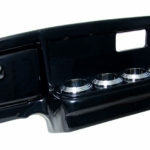 Buy your golf cart rear view mirrors directly from the source or from Golf Cars of Tulsa. 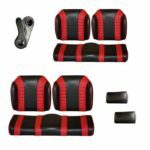 Whether you are fan of collegiate sports or the NFL or both, be sure to show your team spirit by easily installing sports decals to your golf cart. The sports decals come in a variety of collegiate and NFL teams. The decals also come in official team colors or in a flashy chrome finish. These are a must have for the sports fanatic who takes pride in showing off their college alma mater or their favorite NFL football team. 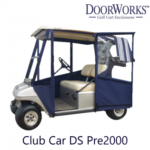 Golf cart tops are a great accessory for style, comfort and weather protection. 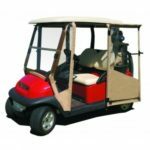 E-Z-GO offers high quality, rust and mold resistant golf cart roofs and struts designed specifically for your beloved E-Z-GO golf cart. 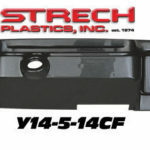 Installation is easy and simple with pre-drilled brackets, struts and tops. 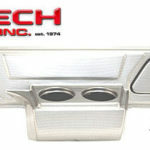 We also stock top parts as well as complete golf cart top kits. 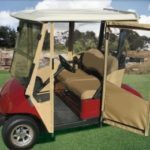 Take advantage of other golf cart accessories to make your ride more enjoyable such as windshields, E-Z-GO covers for golf bag protection, grab handles for safety, and beverage coolers that all attach to the struts. 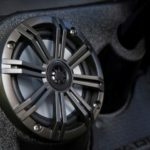 What is the OEM difference? Original Equipment Manufacturer means that E-Z-GO holds a high standard when it comes to quality, performance and safety standards. 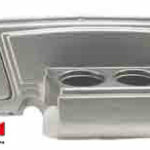 Our products are manufactured in premier manufacturing facilities and go through stringent testing requirements.